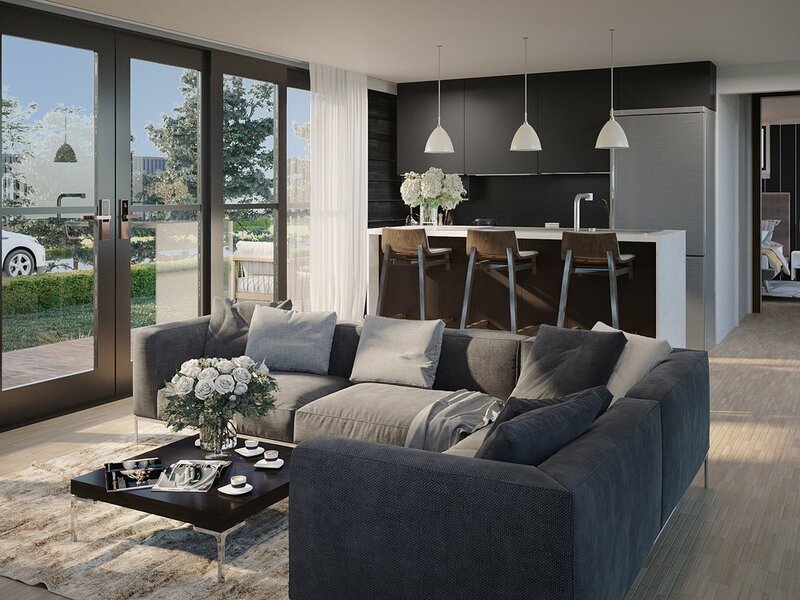 In the quest to create minimalist living without the usual compromise, our friends at Shire Bridge have started this incredible project with plans to be built in Christchurch Nz. Called the ‘Tiny House’, this miniature home has all of things you would want in your standard house; a main bedroom, bathroom, kitchen & living area. It even has a large porch, front/back yard and generous parking space. The only difference is the size. Being a minimalist but very comfortable living situation for a single or couple. This is something that can be extremely hard to come by without living in apartment buildings or a townhouse dwelling. To kick start this project Shire Bridge got in contact with us to provide them with 3D Renders to showcase their designs. In showing how spacious the Tiny House actually is, we provided our clients with a number of Interior Renders. The first shows you the main bedroom, with an over head bedroom windows and glass doors that face onto the front the porch. 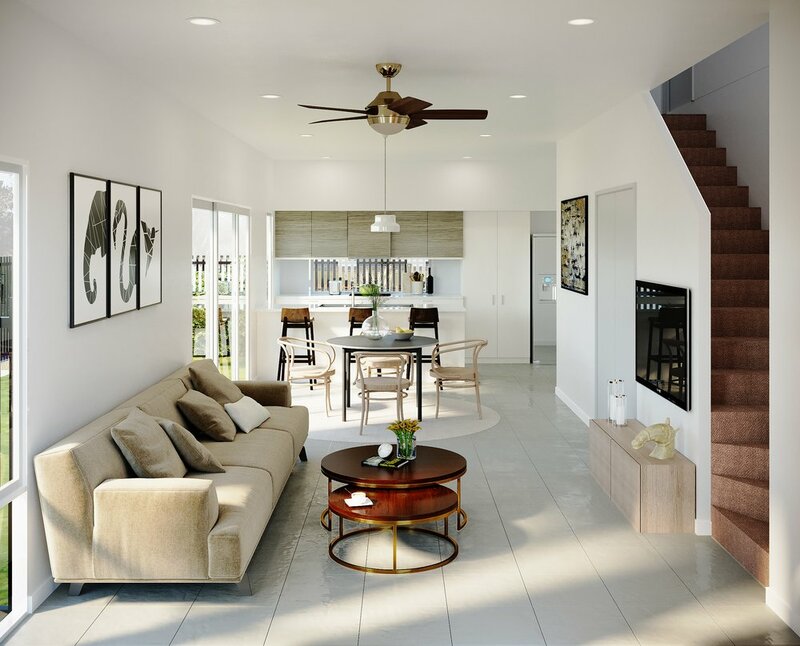 We also provided them with two interior renders of the kitchen & living area, which is a nice space that really uses the sun to its advantage. Finally we created this bathroom render, which has done well to minimize everything and create what feels like a large bathroom. 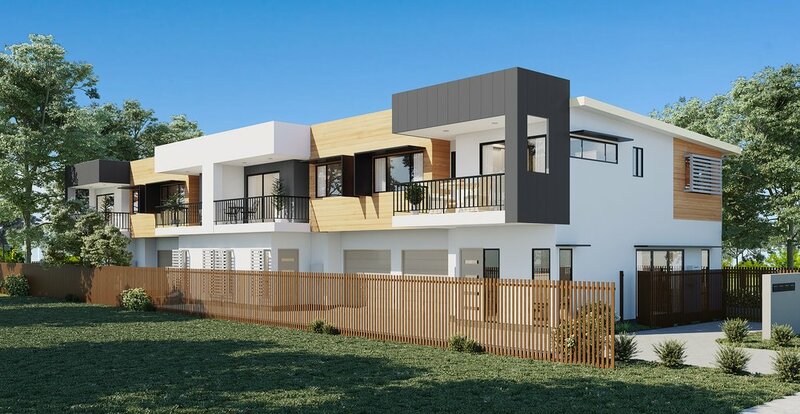 Sand Sky Developments are creating a new multi level development in Coopers Plains. Their new project will include four, two story apartments, all with 3 bedrooms, an open living, dining, kitchen area and large garage. All apartments have a main bedroom with a balcony overlooking luscious parkland. To assist in selling their new development, Sand Sky were in need of some 3D marketing renders. We were more than happy to provide them with the incredible streetscape render above, showing the balcony overlooking the parkland and surrounding environment. We also created another exterior shot from the opposite angle showing the new development from the front. 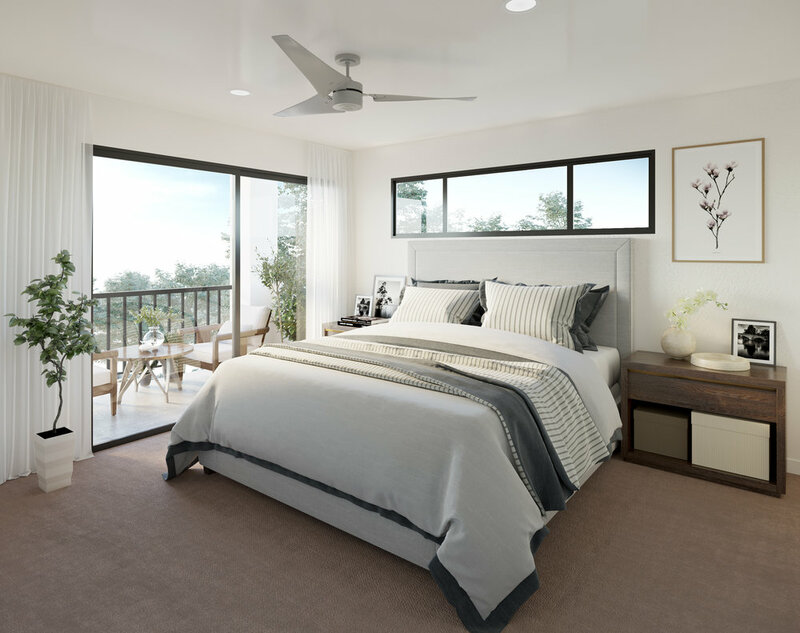 Additionally we provided three interior renders that take you through the master bedroom, en suite and the living/dining area. Check out this commercial fit out we recently helped with. 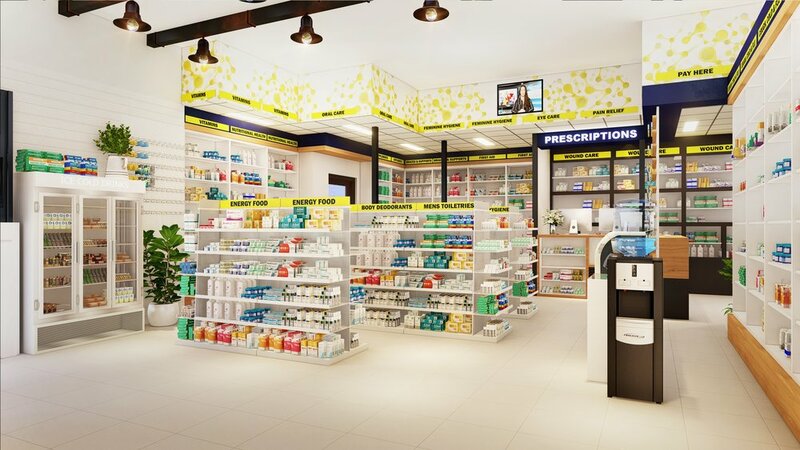 Our clients are creating a brand new on campus pharmacy at the University of NSW Sydney to assist with the world class pharmaceutical medicine program they offer. In the pursuit to get the ‘perfect’ shop fit out they requested a couple of interior renders showing the pharmacy from different angles. Once we had created the the the basic structure, we were able to work with them closely in getting the perfect arrangement of furniture and product placement and providing them with a great insight into how their future project will unfold.